"One little fish swam in his dish, he blew bubbles and made a wish. All he wanted was Another Fish". Fishes, the vibrant and fascinating creatures, always tend to capture the imagination of kids and take them into a dreamy world of water. 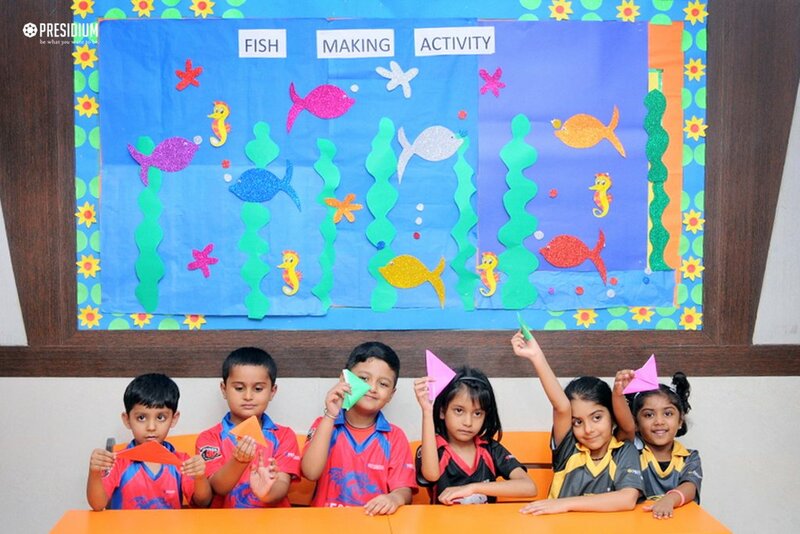 To kindle creativity and let the kids dive into the kingdom of fishes, Presidium Raj Nagar organized a Fish Making Activity for Grade 1 students under the 'Out of the Box Academy'. 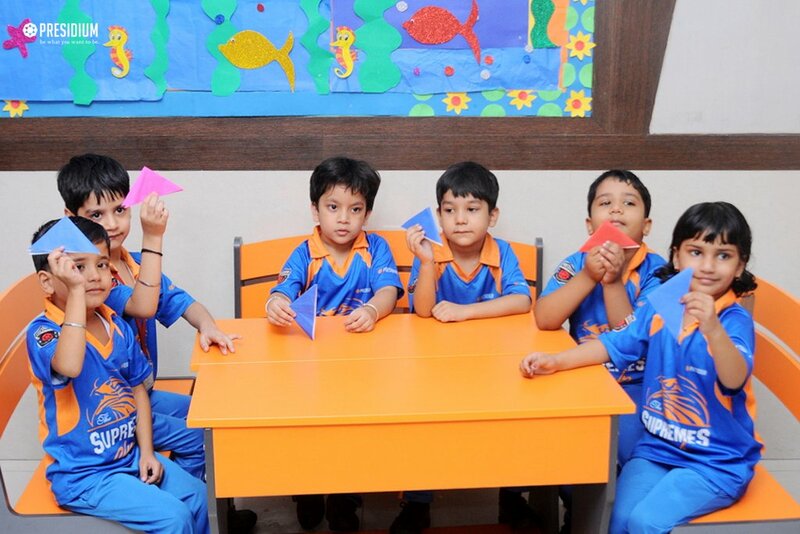 The students made beautiful fishes in the Paper Folding Activity with the help of Origami sheets. Enthralled with the exposure to this Japanese art of paper folding, the students developed spatial reasoning and enhanced understanding of basic geometric shapes. 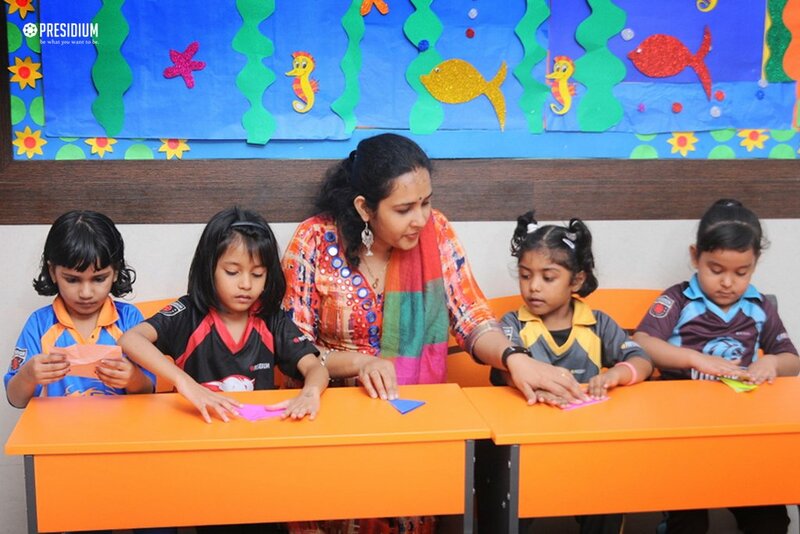 The activity gave the students an opportunity to explore their artistic skills and also played a vital role in enhancing their cognitive and fine motor skills. It was a treat to the eyes to see bright and life-size fishes all around.